The exhibition surveys 200 years of African American quilts and quilters. 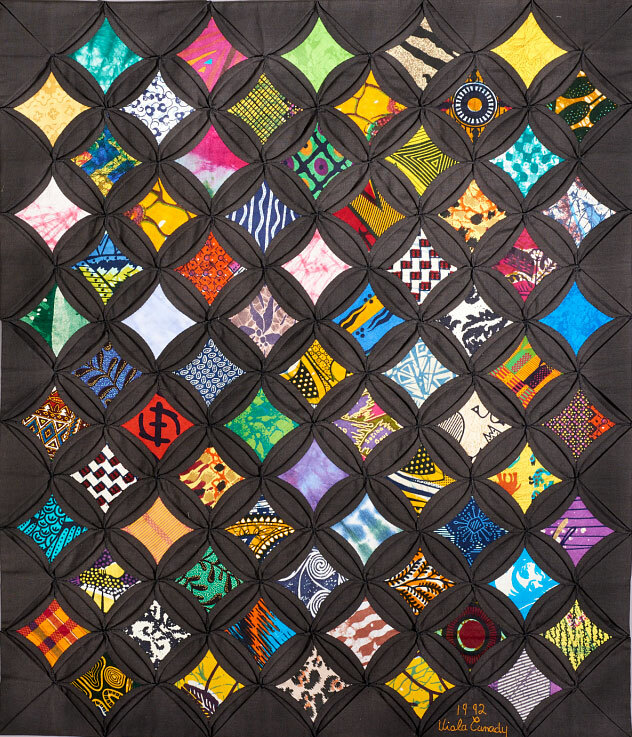 Quilters’ lives, materials, and styles vary greatly, but African American quilting is "always there," a constant presence in American history. On view are quilts, black-and-white photographs, and quilters’ tools curated by the Kentucky Quilt Project, Inc., with additional materials supplied by the Anacostia Museum. Cathedral Window by Viola Canady, a resident of Anacostia, a neighborhood in southeast Washington, DC, 1992. Smithsonian Anacostia Community Museum.